Overview of the engines, all-wheel-drive system, trims and equipment that ensure this crossover excels in its class. 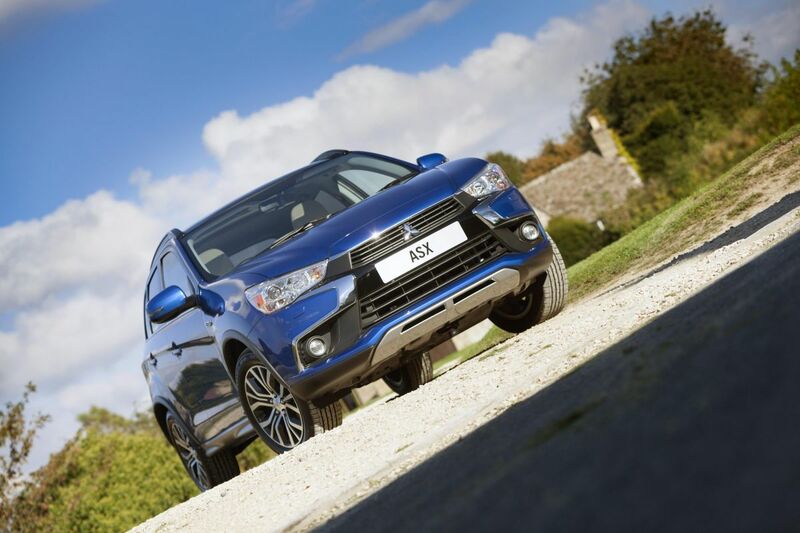 The Mitsubishi ASX is a versatile, stylish, easy to live with crossover class vehicle which costs £15,999 to £28,349. The exterior styling is modern, muscular and no-nonsense thanks, in part, to its high roof line, prominent wheel arches and imposing grille. It is 4,355mm long, 1,770 or 1,810mm wide and 1,640mm tall. This workhorse – that for peace of mind is backed by a 5 year/62,500 mile warranty - has room for 5 people and cargo capacity is 393-litres. The latter is more than respectable and extra capacity comes via a 26-litre, underfloor, storage tray. The floor of the boot is low which makes it easy to get luggage in/out. Mitsubishi ASX engines provide a pleasing turn of speed. Choose petrol or diesel power. In addition, the low fuel consumption and carbon emissions ensure the running costs are modest. Carbon emissions influence the price of Excise Duty, after all (road tax). The 1.6-litre, 117PS, petrol engine is teamed with front-wheel-drive and 5-speed, manual, transmission only. Expect 0-62mph in 11.5 seconds. Depending on the trim, average fuel consumption is 47.9mpg or 48.7mpg. Carbon emissions are either 135g/km or 136g/km. The 1.6-litre, 114PS, diesel works in conjunction with 6-speed manual transmission only, but there is a choice of front or all-wheel-drive. Expect: 0-62mph in 11.2 or 11.5 seconds, average fuel consumption of 56.5mpg or 61.4mpg and emissions of 119g/km or 132g/km. The all-wheel-drive version only sends engine power to the front wheels in normal circumstances to save fuel, then automatically transfers a percentage to the rear if the surface becomes slippery. There is also a lock mode that permanently engages all-wheel-drive. The 2.2-litre, 150PS, diesel engine is bolted to all-wheel-drive and 6-speed auto transmission. It propels motorists to 62mph in 10.8 seconds, averages 48.7mpg and its emission figure is 152g/km. Mitsubishi ASX trims are: 2, 3, 4 and 5. All have a wide range of equipment. Standard features – as incorporated into the entry-level 2 - include: air-conditioning, privacy glass, hill-start assist to prevent it rolling, front fog lamps, active stability and traction control, alloys, power windows, heated mirrors plus key-less entry. Among other things, the 3 adds cruise control, climate control and a colour reversing camera. The 4 trim has leather upholstery, heated front seats and a panoramic roof, too. 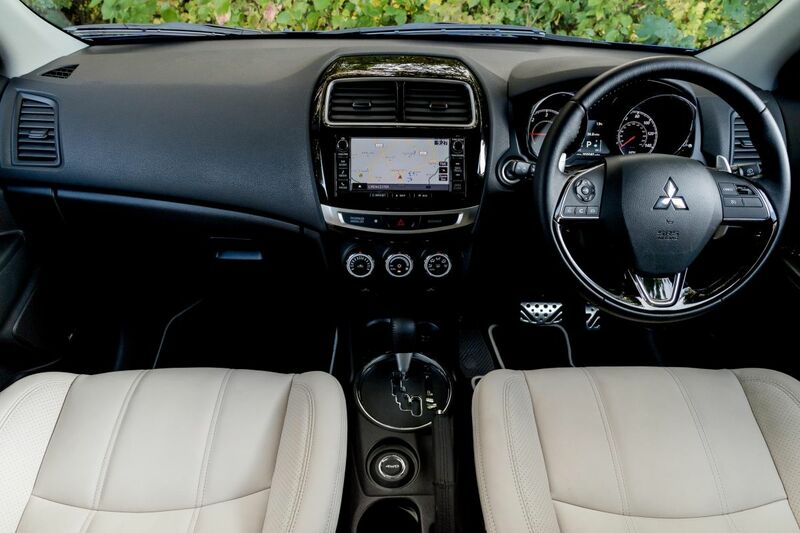 The 5 also has: heated rear seats, rear USB sockets and enhanced interior lighting.